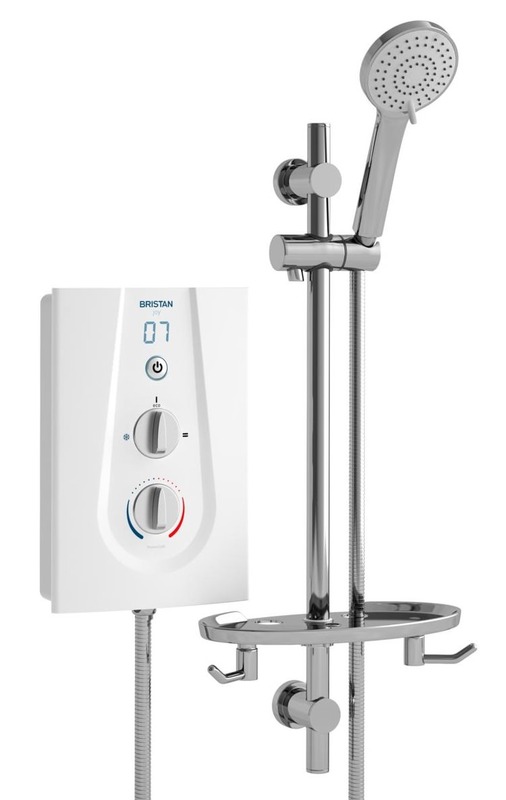 Designed to fabulously uplift the glamour quotient of your bathroom, this Bristan Electric Shower from the Joy range provides you with a refreshingly comfortable showering experience by maintaining a consistent temperature throughout. 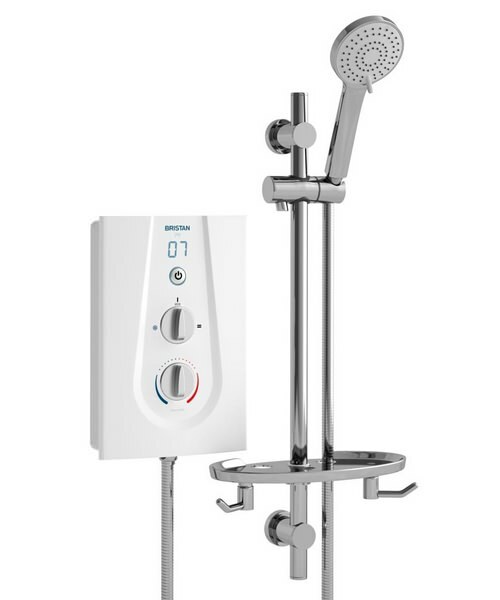 Fitted with 3 convenient power settings of ‘Hot’, ‘Cold’ and ‘Warm’, this electric shower also comes with the unique ‘phased shut down’ feature for ensuring that all water is fully flushed out of the shower after us, thus prolonging its life. 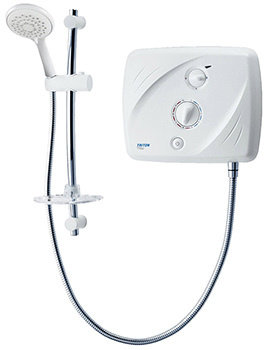 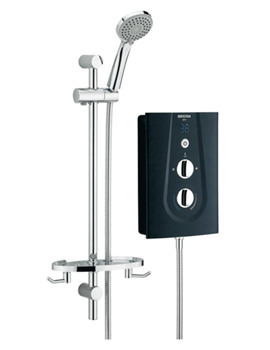 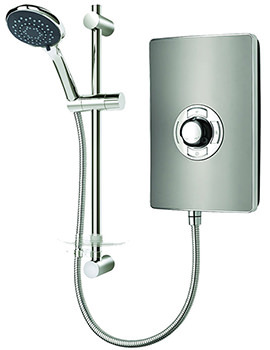 The single button push start and stop feature makes operating this electric shower super smooth. 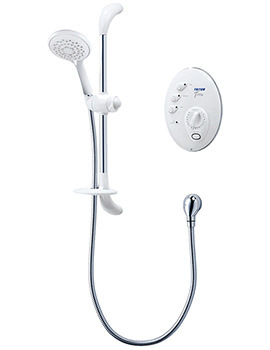 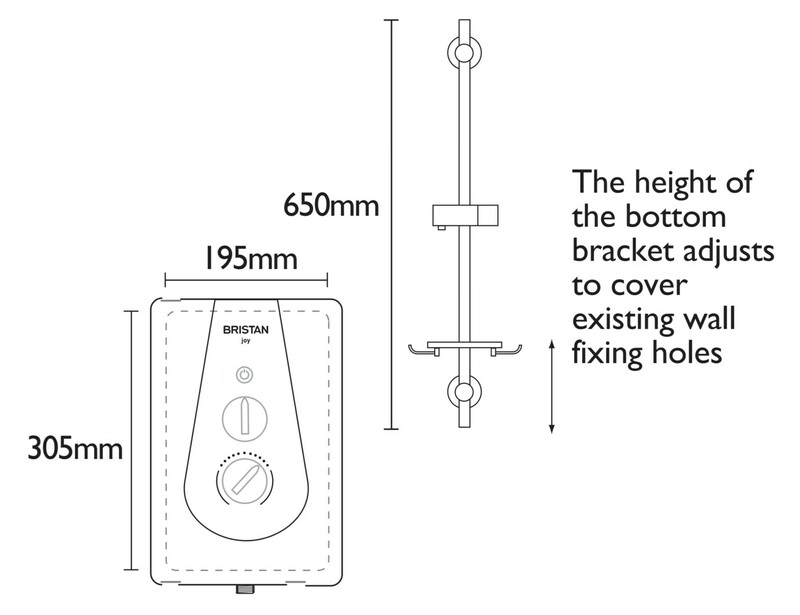 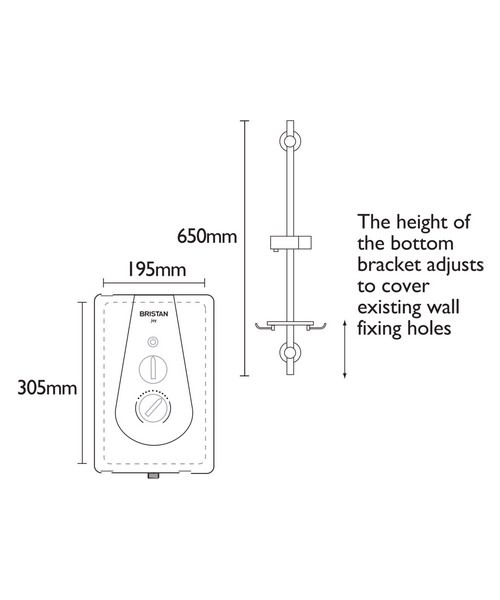 This electric shower comes with white finish and is backed by two years manufacturer guarantee against any manufacturing defects.